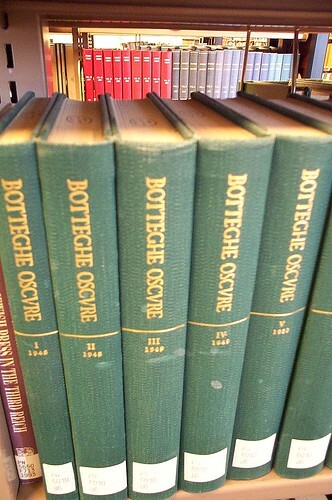 Botteghe Oscure was an international, multi-language literary review which ran for twenty-five issues between 1948 and 1960. The title means "dark shops"named for the street in Rome where the editorial offices were located. Published twice a year in the spring and fall, the journal offered three- and sometimes five-hundred pages of poetry and prose in Italian, French and English, with alternating issues featuring German and Spanish-language segments. It was edited by Marguerite Caetani, the Princess di Bassino. The second issue of 1948 features "Poeti Inglesi e Americani," and the table of contents reads like Who's Who: with W.H. 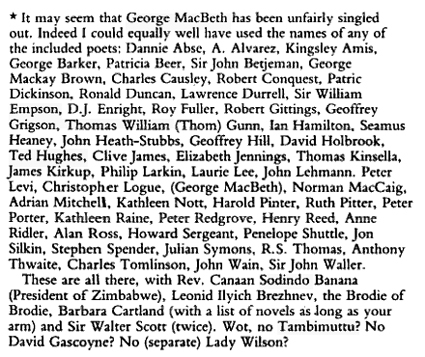 Auden, Ronald Bottrall, Lilian Bowes Lyon, Jocelyn Brooke, Hamish Henderson, Walter de la Mare, Laurie Lee, C. Day Lewis, Norman Nicholson, Kathleen Raine, Henry Reed, W.R. Rodgers, Edith Sitwell, and Vernon Watkins representing Great Britain; and Conrad Aiken, Leonie Adams, Hayden Carruth, E.E. Cummings, Owen Dodson, Richard Eberhart, Edward Field, Marianne Moore, Theodore Roethke, Karl Shapiro, Theodore Spencer, William Jay Smith, Dunstan Thompson, William Carlos Williams, and Richard Wilbur for the Americans. de arte poetica (? c.1940). Text from an unidentified cutting among HR's papers, with the title 'Ars Poetae' altered as here, and with numerous (? provisional) autograph revisions in the author's earliesti.e. 1940shand. Lines 53-59 are cancelled, but as no replacement lines are offered they have been restored here. So, it would seem that quaderno due of Botteghe Oscure, secundo semestre 1948, is likely the source of the "unidentified cutting" in Reed's papers, despite the slight divergence in the titles. This could easily be confirmed if the cutting displays the journal's pagination (pp. 262-64), and Kathleen Raine's "Self," on the reverse of the first page. If Reed was making revisions directly on his copy of the version published in 1948, then his amendations may have gone on into the 1950s. If Reed ever thought of better lines to replace those he "cancelled," they have not been found. As a multi-lingual literary journal, Botteghe Oscure provides Italian translations of all the poets in this issue, with "Traduzioni a cura di Salvatore Rosati, A.G., Nina Ruffini, Henry Furst, e G.B", in a sort of appendix. Reed's poem is credited as being translated by "A.G." The first issue from 1948 contains an article by the critic and translator Augusto Guidi, so I think it's safe to say he managed the adaptation in Italian. Charm, leading their hearer's heart wherever they wish. Jests suit the playful, serious speech the solemn. Some enterprising Cambridge undergraduates have been trying the effect of offering modern poetry for sale in the streets. The first experiment took place on a Saturdaya market day in Cambridgeand out of 2,000 copies printed, about 1,100 were sold. A further 200 copies were disposed of afterwards. 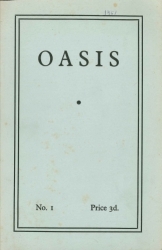 The publication offered was the first issue of a series of pamphlets of poetry, entitled Oasis. The selling price is 3d. 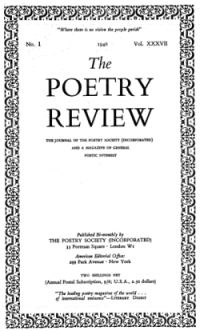 The first issue contained poems by W.B. Yeats, T.S. Eliot, W.H. Auden, Stephen Spender, C. Day Lewis, Louis MacNeice, Robert Graves, Dylan Thomas, and Henry Reed. In the next issue, work of lesser-known poets will be printed; and for May Week the organisers hope to bring out a Cambridge Poetry for the previous year. The aim of the scheme is to overcome present-day apathy to poetry. 'All the authors and publishers allowed us to reprint these poems without fee,' writes Mr. David Stone, of Queens' College. 'Without this help it would have been very difficult to sell the pamphlet at a price attractive to everyone. There has been some disapproval of the street-selling, but most seemed to think it was a good idea.' The pamphlet carried an invitation: 'If you enjoy this selection and are interested in modern poetry come and hear these and other poems read and ask questions to-morrow evening at the Union.' The reader, on the Sunday evening, was Mr. Hamish Henderson. Oasis [was] founded in 1950 by John Mander of Trinity and David Stone of Queens' in conjunction with a series of readings at the Union, was sold directly on the streets by what Gunn called 'a kind of suicide squad' of enthusiasts. It was bought in remarkable numbers (up to three thousand per issue), giving it the largest circulation of any poetry magazine in England. The first issues were devoted to major poets like Yeats and Eliot, later ones to undergraduate work. Fifteen hundred poems were submitted for the Oasis poetry competition. One of the winners was Thom Gunn (who was also on the editorial board). Gunn would later write of the students' experience hawking poetry in the streets of Cambridge for The Bookseller: "Oasis: An Experiment in Selling Poetry" (March 15, 1952, p. 782). 'Oasis' is the first in a series of pamphlets of poetry. Our aim is to show by a representative selection of good contemporary poetry just what sort of poem has been written in the last decades. In this selection there are many styles and many moods. Poets write about everyday subjects—see if you agree with the last two lines of Louis MacNeice's poem: they write about newsreels, love, religion, the futility of war; Henry Reed makes a poem out of naming the parts of a rifle. We should like to devote future numbers of 'Oasis' to the works of other poets: and perhaps we might find enough good undergraduate poetry here to fill an issue with Cambridge writers. Modern poetry is always said to be obscure: we hope you will read these poems and judge for yourselves. This is followed by the epigraph: "When I hear the word culture I reach for my revolver," a popular paraphrase of Hanns Johst, from his pro-Nazi play, Schlageter (1933): "Wenn ich Kultur höre... entsichere ich meinen Browning!" 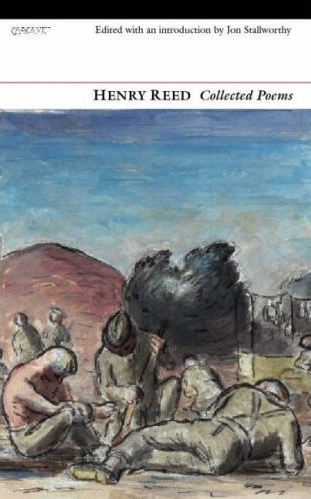 I guess I had been hoping to discover an obscure, perhaps unknown poem from Henry Reed, but the issue was, as advertised, devoted to well-known, previously-published poems from established poets. A slim volume at only 12 pages, it contains "For Anne Gregory," by W.B. Yeats; "Journey of the Magi," by T.S. Eliot; "Culture," by W.H. Auden; "Regum Ultima Ratio," by Stephen Spender; "Newsreel," by C. Day Lewis; "Bagpipe Music," by Louis MacNeice; "No More Ghosts," by Robert Graves; "Among Those Killed in the Dawn Raid Was a Man Aged a Hundred," by Dylan Thomas; and, of course, Reed's "Naming of Parts." Tim Kendall of the University of Exeter has started a blog: War Poetry, "The one-stop shop for all your war poetry needs." Thus far he has not disappointed, with posts on Keith Douglas, Robert Frost and Edward Thomas, and Ivor Gurney. Professor Kendall is currently working on an overview of war poetry for Oxford University Press's Very Short Introductions series, as well as a three-volume edition of Gurney's complete poems, with Philip Lancaster. Lancaster's Ivor Gurney blog is also worth a visit. Kendall's name may ring a bell from his editing of The Oxford Handbook of British and Irish War Poetry (2007), a collection of essays on poems from the Victorians through the modern era, including a chapter by Reeding Lessons' favorite, Jon Stallworthy ("The Fury and the Mire," which also appears in Survivors' Songs). Several authors in the Oxford Handbook mention Henry Reed, "Naming of Parts," or "Judging Distances." Reed, however, was conspicuously missing from Kendall's Modern English War Poetry (2006), which I believe at least one reviewer pointed out. Even so, the War Poetry blog is sure to have a global war's worth of poets and poems enough to keep us coming back. Here are a few lines from Mercer Simpson. Simpson was slow to publish his poetry; born in 1926, his first volume, East Anglian Wordscapes, wasn't released until 1993. 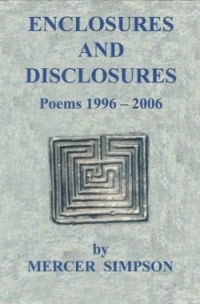 His fourth and last, Enclosures and Disclosures, was published just last year, after his death in June of 2007 at the age of 81. Though he was born in London, grew up in Suffolk, and was educated at Cambridge and at Bristol, Simpson lived in Wales for 50 years, where he was a lecturer at the University of Glamorgan in Cardiff (formerly the Glamorgan College of Technology), and it is his studies and work on Welsh literature for which he is known. insist, Words shall not pass! a little dirt to illuminate the human scene. in a completely unfamiliar language. prefer Newspeak? No chance to examine a fresh consignment. The typewriter has cancelled the invoice. everything incredibly clean, highly polished. inflexibly to attention. No one dare move. is completely and utterly forgettable. You can read an excerpt from Enclosures and Disclosures at Rockingham Press, and the book is available for purchase from Amazon.co.uk. C.H. Sisson and all and all. . .
'No one can tell who has talent, if any. Only one thing is certain. We are too many'. The quoted remark is from chapter 15 of Yeats' Four Years (Project Gutenberg text). Here's a few poems by the "Patience Strong" (Wikipedia) whom Reed is paired with. Today I went on 3 double decker buses. We went to the London Experience in a movie house. I liked it alot. Then we took a bus to someplace and visited Dr. Samuel Johnson's house. I thought in was very interesting. Then we ate at a resterrant that been open for 312 years. Its called the Cheshire Cheese. Johnson, Boswell and Pepys had lunch there. I had roast beef there. After that we went to the Tower of London. Apparently Buckingham Palace, Big Ben, and Westminster Abbey couldn't hold a candle to my riding a single red Routemaster bus. Voices in Wartime (DVD). An acclaimed feature-length documentary on the experience of war through the words of poets, soldiers, journalists, historians and experts on combat from around the world. Great Poets of the 20th Century (The Guardian). Brings together seven of the greatest poets of the 20th century: Sassoon, Heaney, Hughes, Larkin, Plath, Auden, and Eliot. After a three-month sojourn in the blast freezer (it does for the insects), I spread the papers out in the vaults of the greatest research library in the world. There, fixed together with rusting pins and clips, occasionally riddled with pest holes but otherwise intact, lay the substantial remains of a decade's worth of literary endeavour; a decade in which Tambi had issued 14 editions of Poetry London magazine and over 60 books of poetry and prose, often exquisitely illustrated by up and coming artists. Here was something wonderfullyalmost spookilyhermetic, beginning in 1938 as soon as Tambi arrived in London, and ending in 1949, on the very eve of his departure. In my lengthy, involuntary exile, I was remiss in not linking to an excellent reminiscence of Henry Reed's time as a professor at the University of Washington, Seattle, between 1963 and 1967. Ed, over at I Witness (appropriately enough), has two spectacular posts from October last year, recounting his days as an English major and teaching assistant in Seattle, and how Reed came to befriend him and his family. Part one, "Henry Reed in Seattle," tells the story of how Reed came to be invited to teach at the University of Washington, and features a cameo appearance by the poet Theodore Roethke. The second part, "Typography of the Heart," has tea with Elizabeth Bishop, the occasional opera, and Reed's eventual return to England. I, myself, have been trying to remember precisely when I first discovered Henry Reed. It was his "Naming of Parts," of course. It was in high school, inside a giant, all-encompassing Norton Anthology we had to purchase for sophomore year. My copy was used, well-used, with the notes of various previous owners in the margins in pen and pencil, passages underlined. The pages were onion-skin thin, almost transparent, and it seemed like every single page could be peeled to reveal another, like Borges' infinite library book. We didn't even read "Naming of Parts" in class. I would read ahead whenever I was bored with whomever we were covering: Homer, Conrad, Eliot. I remember reading Auden's "Musée des Beaux Arts," distinctly. 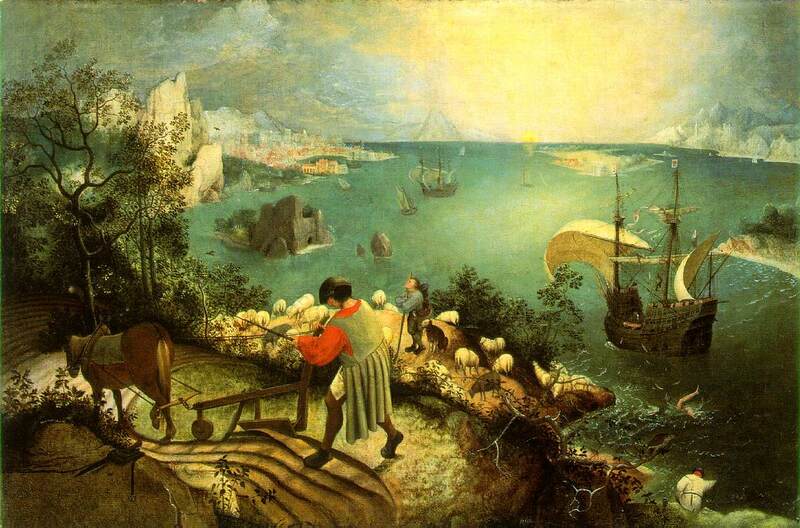 It was the first truly modern poem I had been introduced to, and I was staggered that I could learn something so profound from (and about) a painting I had never seen, Brueghel's "Landscape with the Fall of Icarus." Just a few pages beyond Auden was Henry Reed. Anytime I wrote poetry for a creative writing class in the years that followed, I was imitating either Auden, or "Naming of Parts." It would be ten years before I would look Henry Reed up, again. I had a part-time job at the reference desk of my local public library, and I spent my shifts answering the oddest questions from our patrons, like "Where can I find a list of all the times the word 'breast' appears in The Bible?" After a while I knew enough about how the library worked and how the books were organized to try and answer some of my own questions. There was nothing about Reed online in those days. Most of the library's databases were still on CD-Rom. In Louis Untermeyer's anthology, Modern American and British Poetry, I learned there were two more poems to Reed's Lessons of the War: "Judging Distances," and "Unarmed Combat." There was also a long, long poem called "The Auction Sale." I must have known that Reed had written other poems, but I hadn't been prepared to find two sequels to "Naming of Parts," and certainly nothing as good as "Judging Distances." And it would be a few more years before I would learn of Reed's death, after I had taken a job at a university library. There, it was easy enough to go to the Reference sectionso much more comprehensive than the one at my old public libraryand look him up. So I finally found out that Reed had died back in 1986, about the same time I first read "Naming of Parts." But there are biographies in the reference sections of many libraries which haven't been updated since before Reed died, and several printed since which failed to notice his passing, and you can still find him listed in the subject headings of library catalogs online with a heartening Reed, Henry, 1914 - . Todd Swift of EYEWEAR reviews The Observer's new poetry section, which kicked off yesterday with 'three white, male poets - one dead, one middle-aged, and one slightly older than that': Henry Reed, John Burnside, and Hugo Williams. [H]ow about a little balance? It might have been fun to have a poem by one of the younger, rising stars of British poetry - Luke Kennard, Daljit Nagra, Katy-Evans Bush, say - or mention of one of the many fine established women poets currently working in the UK. Instead, the page rather solemnly establishes an establishment feel. . . and a feel that experimental, different, edgy, or more radical poetic efforts will not be looked at. A biographer researching the critic John Hayward (1905-65) has turned up "a collection" of unknown (or thought to be lost) poems written by W.H. Auden, published in his teens while he was at Gresham's School in North Norfolk, England. John Smart, a former head at Gresham's turned up the poems (The Independent) in old volumes of the school's magazine, The Gresham, which Hayward had edited as a student. In one of the journals, Mr Smart came across a poem entitled 'Evening and Night on Primrose Hill', which, like most of the verse in the magazine, was unsigned. 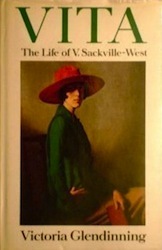 In her definitive collection of Auden's 'Juvenilia', the author Katherine Bucknell refers to a sonnet the poet wrote about Primrose Hill in north-west London, which had been lost. 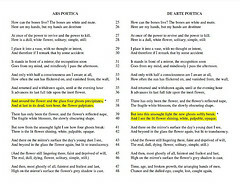 Google Book Search finally got around to digitizing the University of Michigan's copy of Reed's A Map of Verona: Poems (London: 1946) back in May of this year. It's still in copyright, so you can only view it in snippets, but it's still nice to have searchable text at a glance. 1492. Bogan, Louise. Works in the Humanities Published in Great Britain, 1939-1946: A Selective List. Washington, D.C.: Library of Congress, 1950. 78. Reed is placed among "new names of interest and importance" in poetry. 1491. Thomson, R.W. "Entre Nous." Expository Times 58, no. 2 (November 1946): 55-56 . Reviews of recent poetry mentions publication of Reed's A Map of Verona, and quotes from his poem, "Iseult la Belle." 1490. Radio Times, Billing for Malatesta, 22 February 1952, 27. Reed's translation of de Montherlant's play is scheduled for February 26, 1952. 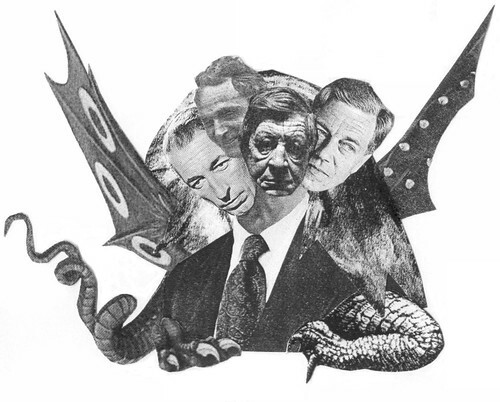 Thanks to dumbfoundry, my new favorite completely fake person (just edging out Lillian Mountweazel) is, officially, MacSpaunday: a monster made of equal parts MacNeice, Spender, Auden, and C. Day-Lewis. 1489. 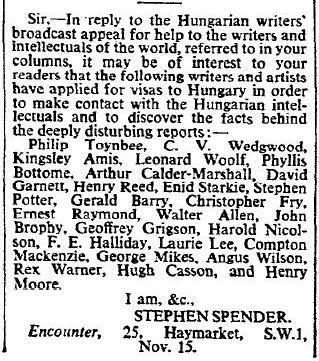 Times (London), "Broadcasting," 9 April 1951, 6. Reed's 'play about Leopardi,' The Unblest, is scheduled for this evening. 1488. Williams, Oscar, ed. A Pocket Book of Modern Verse. Rev. ed. New York: Washington Square Press, 1958. 538-539. Collects the second of Reed's Lessons of the War, "Judging Distances." 1487. Bailey, L.W. "Writer Remembered: Henry Reed." The Author 106, no. 1 (Spring 1995): 26-27. Bailey writes a remembrance of Reed's time at Bletchley Park during the Second World War. 1486. Perrine, Laurence. Sound and Sense: An Introduction to Poetry. New York: Harcourt, Brace, 1956. 37-39. Reprints Reed's "Naming of Parts," and provides sample questions for discussion in the classroom. 1485. Duff, Alan. The Third Language: Recurrent Problems of Translation into English (It Ain't What You Do, It's the Way That You Do It). Toronto: Pergamon Press, 1981. 86. Quotes from Reed's poem, "Judging Distances." 1484. Gross, John, ed. The Oxford Book of Parodies. London: Oxford University Press, 2010. 89-90, 132. Collects Reed's parodies of Thomas Hardy and T.S. Eliot. 1483. Tiller, Terrence. "1904 and All That." Reviews of Poetry of the Present, edited by Geoffrey Grigson, and Contemporary Irish Poetry, edited by Robert Greacen and Valentin Iremonger. Tribune, 22 July 1949, 18-19 . Tiller is skeptical of Grigson's latest anthology, as it neglects to include Durrell, Reed, or himself. I had opportunity today to drop into Mermaid Books, a little, hole-in-the-wall used bookstore in town. I would recommend dropping in if you are at all able. Not only do they receive a good portion of the obscure and well-read books from town, but any bookshop which advertises "Ephemera" as a category has got to be worth a poke-around. Today I happened upon a copy of Richard Brautigan's collection The Pill versus the Springhill Mining Disaster. Brautigan has been one of my favorite poets ever since I came across his poem, "Discovery," in a collection of San Francisco poets. I believe I was drinking a Mr. Pibb in the Food Court at the mall, at the time. You may know Brautigan for being the progenitor of the phrase "machines of loving grace." Brautigan's poems aren't poems at all; they're more like prayers, or black and white photographs. Small pieces of time frozen long enough to get a good look at. The Pill is dedicated to "Miss Marcia Pacaud of Montreal, Canada," who is pictured, barefoot on a pile of rubble, on the cover. No title, no author. No text whatsoever. This striking image happily led me to the Brautigan "Girls on Covers" webpage. 1482. Karsell, Doris. "New Poet Now Mature." Delta Democrat-Times (Greenville, MS), 12 October 1947, 9. Weldon Kees was a man of many hats. Poet, critic, painter, composer. He wrote for the Newsreels, did a stint as a librarian, and even had aspirations of producing movies. I remember coming across Kees' series of Robinson poems in some anthology from the Forties or Fifties, and thinking to myself, "This is what T.S. Eliot would sound like, if he wrote in English." That was before I knew that Kees was the disappearing poet. In July 1955, Weldon Kees' car was found near the Golden Gate Bridge, and no one ever saw or heard from him again. In January of that year, Kees and one of his best friends in San Francisco, the poet Michael Grieg, conceived of putting on a theatrical poetry reading they deemed the Poets' Follies. The Follies were a sort of poetic revue, with Keyes at the piano and a jazz ensemble of poets, actors, dancers and other artists sitting in. Lawrence Ferlinghetti read. The poetry was accompanied by interpretive dance. Kees and Grieg even managed to cajole a local stripper to stop by and recite some Eliot, Elinor Wylie, and Sara Teasdale. Whom did Weldon Kees choose to read thay night? Why, Henry Reed, of course. Weldon Kees (in uniform), reading "Unarmed Combat." From Vanished Act: The Life and Art of Weldon Kees, by James Reidel. Lincoln, NE: University of Nebraska Press, 2003. 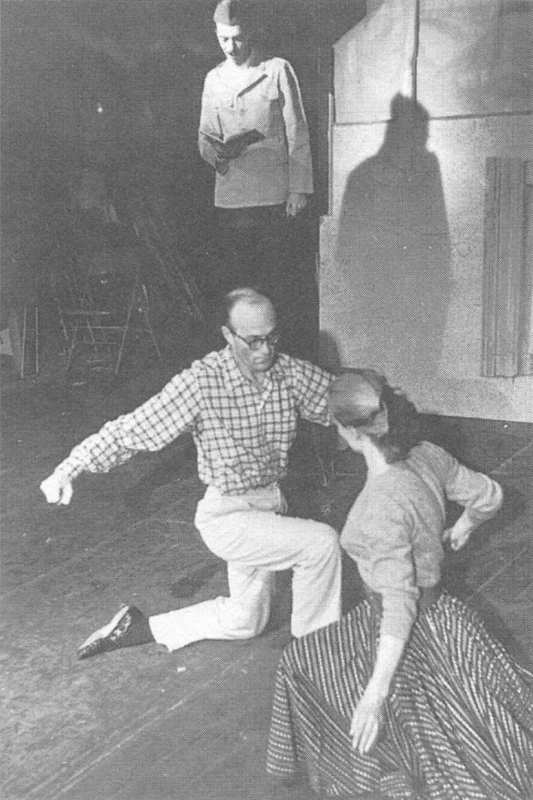 Kees, costumed in military dress (he was designated 4F for World War II, described as 'psychologically unfit for service') gave an interpretation of Reed's "Unarmed Combat." Why Kees chose that particular poem is beyond me. It's the more serious of the three Lessons of the War poems published at that time, and probably the least likely to be enjoyed by a raucous Follies audience. Looking at the photograph from that session of the Follies, I realize that the book in Kees' hand is too small to be an anthology. The slim volume looks like a copy of Reed's A Map of Verona and Other Poems. Kees was a contemporary of Reed's; in fact, they were born only two days apart. Kees certainly read a great deal of poetry: he was a book reviewer and critic for the Partisan Review, The New Republic, and Time. Kees probably felt a special affinity for Reed, whose first book arrived in the States in 1947, full of promise, and who was never heard from again. 1481. Roberts, Michael, and Anne Ridler, eds. The Faber Book of Modern Verse, rev. ed. London: Faber and Faber, 1951. The supplement to the new edition adds the work of Kathleen Raine, W.R. Rodgers, F.T. Prince, Henry Reed, W.S. 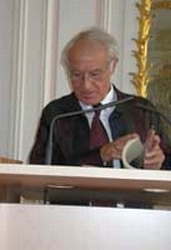 Graham, and others who have emerged during and since the Second World War. 1480. Reed, Henry. "Ruth Draper." Radio Times, 11 October 1962.